By end of 2017, 3,418 Chinese VC funds were launched within the year, raising a combined $243 billion USD, or 1.61 trillion RMB. In the first three quarters of 2017, 493 state-backed funds were founded with a capital size of 114 billion USD (756.8 billion RMB). And as of two years earlier, Chinese VC coffers had surpassed a remarkable $336.4 billion USD. And we are seeing a clear trend towards China’s now RMB-dominated VC market. A whopping 95 percent of the above VCs are RMB funds. 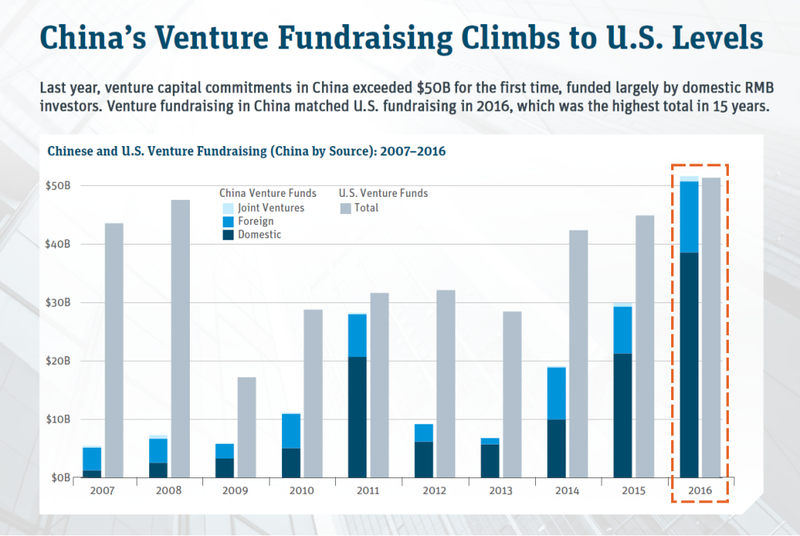 Now the second largest VC market in the world, China’s VC fundraising nearly doubled between 2015 and 2017, in large part driven by the fruition of China’s Internet universe and mounting government efforts. As to the latter, ChinaVenture recorded 1,166 government-led funds with 5.3 trillion RMB of targeted capital by the end of 2017. 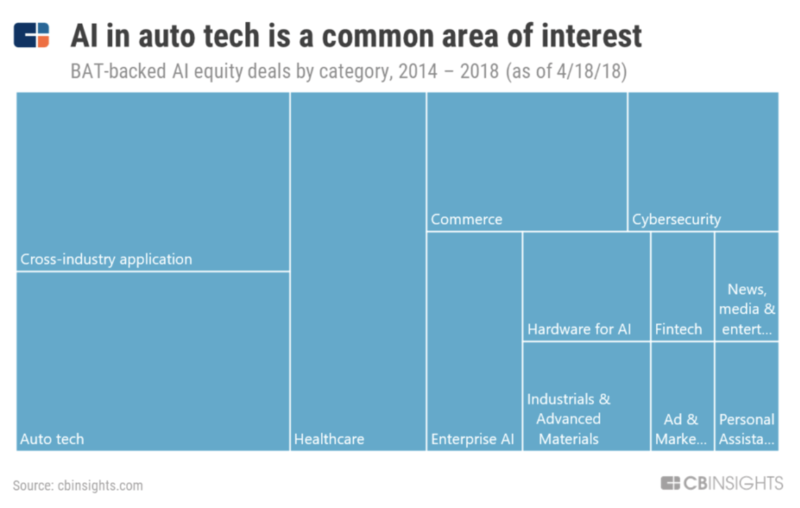 As Baidu, Alibaba and Tencent take on global leadership in AI, autonomous vehicles and personalized medicine, China’s corporate VC targets are getting an even split between China and the rest of the world. And as I’ll discuss in a future blog, China’s government aims to be the global leader in AI by 2030, a task which requires mass absorption of foreign expertise and foreign data. Back on the mainland, China’s ultra-high-powered startup ecosystem pioneers the world’s greatest supply of high-tech hardware and newly deployable algorithms. And now sharing the wealth, Chinese VC abroad plays a critical role in picking out the most promising collaborators to learn from at home and work with abroad. Shenzhen’s Maker Movement puts China in the unequivocal lead when it comes to hardware manufacturing. With some of the most industrious (not to mention numerous) electronics engineers in the world, Shenzhen provides a huge leg up to Chinese robotics startups that need to iterate fast. It’s this unparalleled turnaround rate that in part makes Chinese VC support so attractive to global hardware-reliant startups. And it’s why savvy Chinese VC funds and investors will often give small U.S. startups of interest a critical gateway to Shenzhen’s abundant resources. 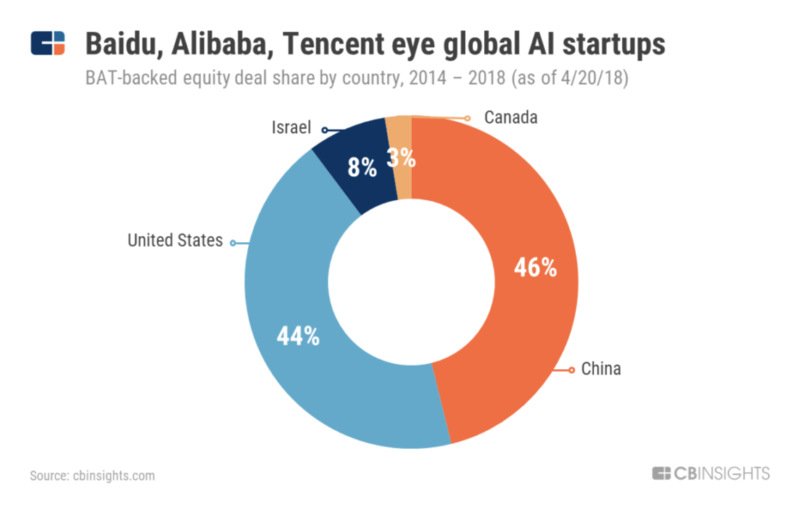 As I’ll discuss in a future blog on Baidu, Alibaba and Tencent, these three tech behemoths are forming a ‘national team,’ with Baidu heading up China’s initiative in driverless cars. Added to the mix is the fact that autonomous vehicles are one of China’s weakest points. Given its reliance on elite AI expertise (quality > quantity) -- a luxury still concentrated at Western juggernauts like Google -- autonomous vehicle rollout in China will need as much foreign assistance as it can get. And as seen below, BAT is investing significantly in auto tech, each company announcing its own autonomous driving initiative. Bringing on global partners from Nvidia to Renesas, Baidu has surpassed 10,000 developers on the project's GitHub repository, claiming to be the most vibrant AV platform vendor in the industry. But BAT isn't stopping at open-source platforms to learn from partner data. Alibaba’s Innovation Ventures (the company’s VC investment arm), for instance, recently participated in a $30 million Series B funding round for Israeli vehicle-to-vehicle networking tech startup Nexar. In line with BAT’s third most heavily backed category, China is investing big in biotech. In Q1 of this year, China-based VC funds poured $1.4 billion into private U.S. biotech firms, making up 40 percent of overall funds raised. This figure is up from $125.5 million a year earlier, indicating a major shift in China’s healthcare-oriented focus. Among the Chinese investors, Tencent and Baidu Ventures made a joint investment in American deep learning-based drug discovery startup Atomwise. And of Baidu’s five other U.S. deals, the company’s VC arm invested in healthcare AI startup Engine Bioscience. Just as China has worked its way from a largely ‘copycat’ tech ecosystem to a thriving hub of innovation and cutting-edge research, Beijing is trying to do the same in healthcare. By investing big in foreign (particularly AI-based) biotech, China aims to shrug off its reputation as a low-grade generic pharmaceuticals manufacturer and begin pioneering novel therapies. China is a true miracle story. After reaping the harvest of a cheap manufacturing sector and export-oriented economy, China is upending traditional investment flows at a rate previously unheard of.